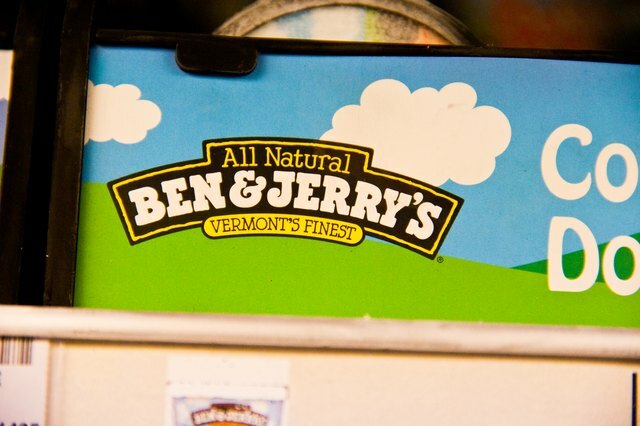 Ben and Jerry’s was established by Ben Cohen and Jerry Greenfield and opened their first location in Burlington Vermont in 1978. With a laid-back and carefree attitude that includes, “If It’s Not Fun, Why Do It?” Ben and Jerry continue to create original and unique ice cream flavors today. 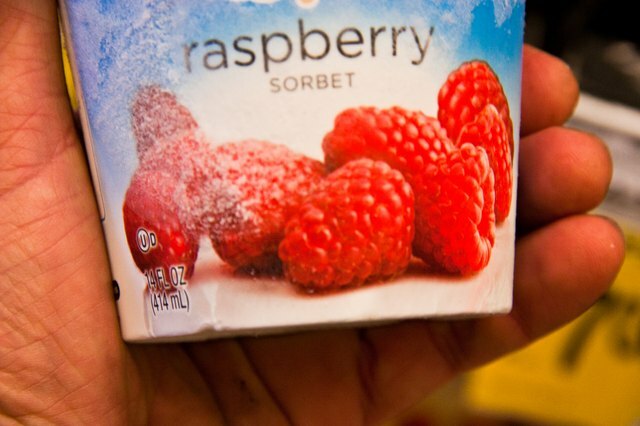 One of the most exciting aspects to Ben & Jerry’s ice cream is the company’s willingness to be original and innovative. A comprehensive list of their current ice cream flavors include: Banana Split, Brownie Batter, Butter Pecan, Chocolate Chip Cookie Dough, Cherry Garcia, Cake Batter, Chocolate Fudge Brownie, chocolate Macadamia, Chocolate Peanut Butter Swirl, Cinnamon Buns, Coffee Heath Bar Crunch, Chocolate Therapy, Coconut 7-Layer Bar, Crème Brulee, Chubby Hubby, Coffee, Dave Matthews Band “Magic Brownies,” Chunky Monkey, Coffee Coffee BuzzBuzzBuzz!, Dublin Mudslide, Everything But The…,Imagine Whirled Peace, Fossil Fuel, Mango Mango, Goodbye Yellow Brickle Road, Karamel Sutra, Mint Chocolate Chunk, Key Lime Pie, Mint Chocolate Cookie, Mission to Marzipan, Neapolitan Dynamite, New York Super Fudge Chunk, Oatmeal Cookie Chunk, One Cheesecake Brownie, Orange and Cream, Flipped Out, Peanut Butter Cookie Dough, Peanut Butter Cup, Phish Food, Pistachio, Pistachio, S’mores, Stephen Colbert’s Americone Dream, Strawberry, Strawberry Cheesecake, Sweet Cream and Cookies, Triple Caramel Chunk, Turtle Soup, Vanilla, Vanilla Almond, Vanilla Caramel Fudge, Vanilla Fudge Brownie, Vanilla Heath Bar Crunch, Willie Nelson’s Country Peach Cobbler. As consumers became more health conscious, Ben & Jerry’s ice cream continued to produce ice cream with a high fat content. 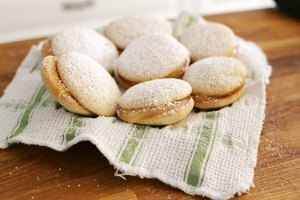 However, they did introduce three flavors that use less fat than their high-fat counterparts. These flavors include Chocolate Chip Cookie Dough with light vanilla ice cream, Phish Food using light chocolate ice cream, and Raspberry Chocolate Chunk using light raspberry ice cream. Additionally, they have one flavor, Vanilla Fudge Chip that uses no additional sugar. 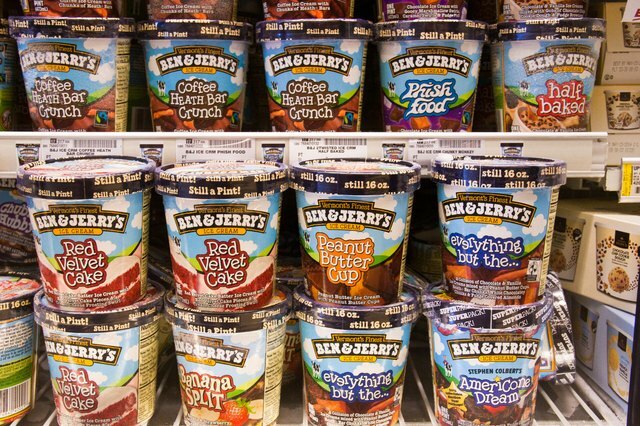 Though not much lower in calories than their ice cream, Ben & Jerry’s offers several different frozen yogurt flavors. 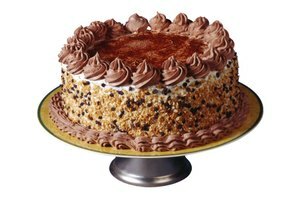 These include: Low fat Black Raspberry, Cherry Garcia, Chocolate Fudge Brownie, Strawberry Banana, Vanilla and Half Baked, which consists of chocolate and vanilla frozen yogurt mixed with fudge brownies and chocolate chip cookie dough. 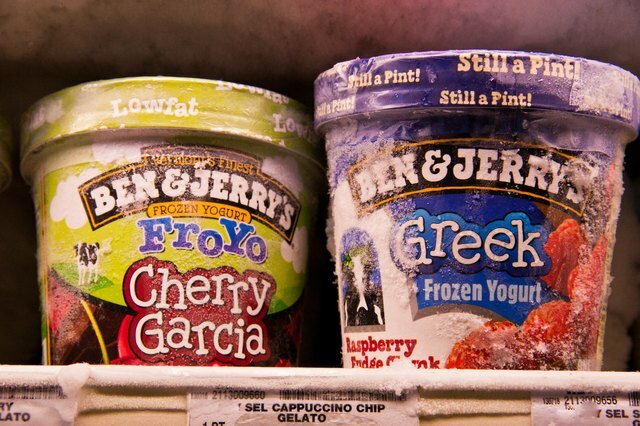 Ben and Jerry's offers a variety of sorbets, light, fruity alternatives to ice cream. These delectable flavors include Berried Treasure which is blueberry and blackberry sorbet swirled with lemon, Fat Free Berry Berry Extraordinary, Fat Free Lemonade Stand, Mango Mango, Strawberry Kiwi Swirl, and Jamaican Me Crazy, which consists of chunky pineapple sorbet swirled with passion fruit. 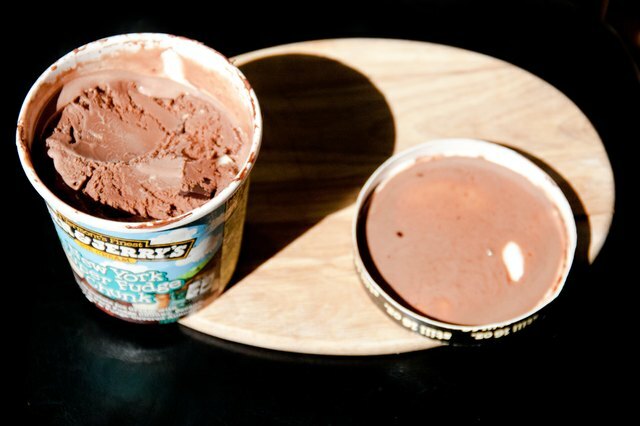 Many Ben and Jerry ice cream creations were only available for limited times. 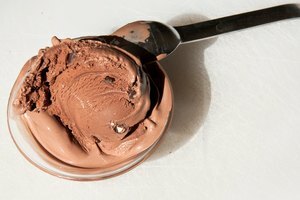 If your favorite flavor has seemingly disappeared from your grocery store freezer, it may be sitting in what Ben & Jerry's refers to as the “Flavor Graveyard.” Some of these flavors include White Russian (1982-2002), Economic Crunch (1987), Wild Maine Blueberry (1990-1992), Rainforest Crunch (1989-1996), Fresh Georgia Peach (1986-1991), Bovinity Divinity (1998-2001), Purple Passion Fruit (1996-2001), Peanut Butter and Jelly (1998-1999), Tennessee Mud (1988-1989), Devil’s Food Chocolate (1996-2001), Ethan Almond (1988), Cool Brittannia (1995-1998) and Sugar Plum (1989-1990).